DONCASTER -- A 30-minute drive outside of Doncaster, England nestled in the rolling country side in a small hamlet of houses built more than 300 years ago is the home of Ken and Sue Johnson. For the last 6 years, Sue hasn’t strayed far from the property. Most days she’s inside or in her small back garden. As for Ken, he is just as much the home body, spending hours in his oversized leatherback chairs reading. The only photograph in the home is in a frame sitting on the front window sill. 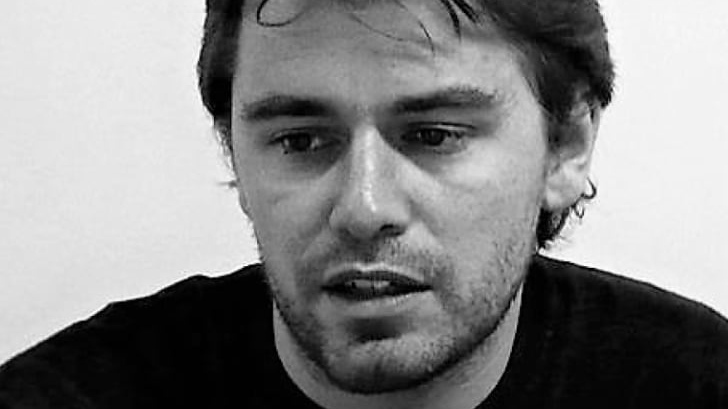 In it is the image of Ken and Sue’s only child, Scott. The only other evidence that Scott lived there is crammed in a small upstairs bedroom – squeezed between stacks of black boxes is a full-size drum kit with sticks still sitting on the snare drum. They were Scott’s pride and joy. His entire life, Scott Johnson was obsessed with music. A talented drummer and musician, he chased his dream and the music scene far beyond the small bars of Doncaster. Eventually, he landed the dream gig -- touring with one of the biggest rock bands in the world -- Radiohead. Scott wouldn’t be in the spotlight, but he still played a vital role in the three-time, Grammy award- winning band’s crew -- he was the drum technician, in charge of setting up and tuning the drums for Radiohead’s drummer, Philip Selway. “Scott, he was very well respected, very well liked,” said Selway. The job brought Scott to every corner of the planet, touring with the group for months on end. Eventually, on June 16, 2012, they arrived in Toronto for the final concert of Radiohead’s North American tour. As he had done dozens of times before, Scott was on stage in the lead up to sound check, diligently taking care of Selway’s drum kit, when disaster struck. 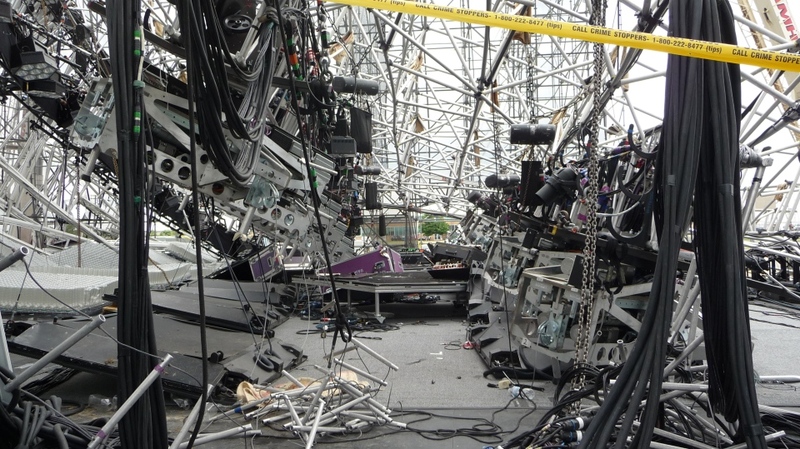 Without warning, the stage came crashing down, crushing and killing Scott, instantly. “The sound of it is very much in my head. It sounded like a huge glass cabinet falling over. It’s the only way I can describe it. We rushed out. We went to the stage and we could see that it was buckled at that point,” Selway recalled. Half a world away, Ken and Sue Johnson were in bed when the phone rang and woke them. That call would change their lives forever. “You woke up and you thought it was just a nightmare. It’s unbearable. I think you don’t realize how much you love somebody until you don’t have them anymore,” said Sue Johnson. After burying their son, the Johnsons had hoped they would get some answers as to why the stage collapsed and who was responsible. 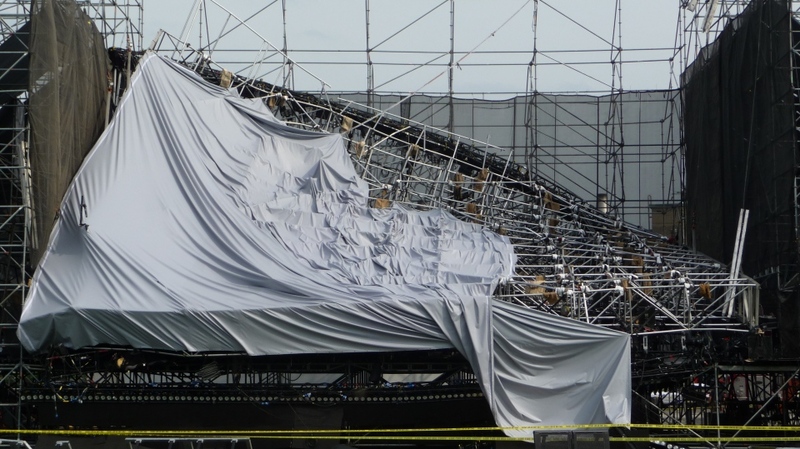 It took a full year for provincial investigators to finish their report -- they found there had been five Ontario regulations violated and concluded the overall weight capacity of the stage roof had been grossly miscalculated by over 16,000 pounds. 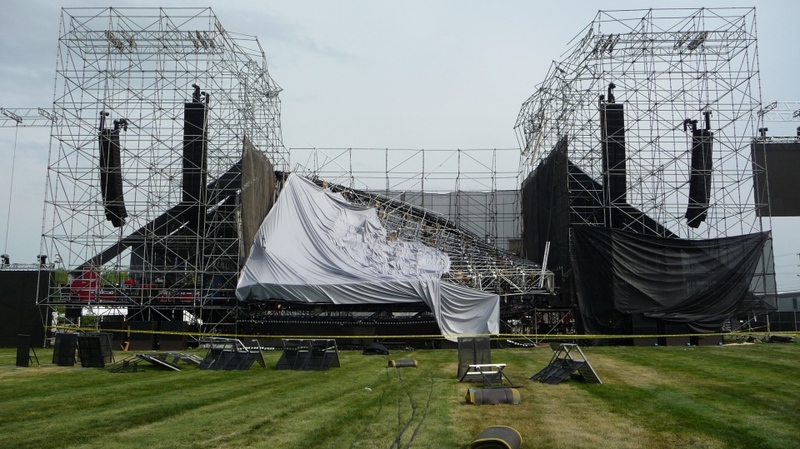 Eventually, a total of 13 charges were laid against the tour’s promoter, Live Nation, the staging company Optex Staging and the engineer in charge, Domenic Cugliari, under Ontario’s Occupational Health and Safety Act. “We never had any doubts that the system would work. We had the support we had from the ministry of labour in Canada,” said Ken Johnson. But it would be the judicial system that would fail the Johnsons. The case, while seemingly straightforward to prosecute, ran into delay after delay. It took a full year to set the first trial date. “There was frustration as, the court, as the case went on, but there was always the belief that actually justice would be done in there,” said Selway. Since Scott’s death, Selway has become a close family friend, visiting Ken and Sue. The superstar drummer regularly walks in to the little home through the back entrance, after a hug and a handshake; he sits down for a cup of tea and an update on legal proceedings in Scott’s case. It would take another 18 months for the trial to get underway. But not the way it was scheduled. Instead, it was just two days here and three days there over the next year-and-a-half. Eventually, more trial dates were set, but they too were abandoned due to poor scheduling. Finally, with only three days of closing arguments remaining, the case ended. Not with a verdict, but with a mistrial. The presiding judge announcing he had lost jurisdiction over the matter because he had been offered and accepted a new job in a higher court. “It was announced a couple of weeks before the last three days of June, that the judge had moved on. And that, to us, was devastating,” said Ken Johnson. Unbelievably, things would get worse for the Johnsons. Nearly five years since burying their son, the lawyers for the tour’s promoter, staging company and engineer, demanded a stay of proceedings. They argued the lengthy delays violated the precedent-setting 2016 Supreme Court ruling known as the Jordan Decision, which put an 18-month time limit on trying provincial court cases. The new judge assigned to the matter agreed and granted the stay. That decision all but ended the case. “It was the worst possible outcome at that point. We were flabbergasted. We were angry. We were completely baffled by the decision,” said Selway. The decision to promote the judge and to force him to drop the case was made by the Department of Justice. The then Federal Justice Minister Jody Wilson-Raybould admits despite the repercussions to individual cases or victims, judges who are promoted are forced to stop work on all of the cases they are overseeing at the time. “When there are appointments made to the bench or elevations, then that individual has to and does report to the chief justice,” said Wilson-Raybould. Not good enough for the members of Radiohead. Since Scott Johnson’s death in 2012, during all the delays and court proceedings, the band boycotted touring in Toronto. In 2018, after the case was stayed, angry and frustrated, Radiohead came back Toronto for a concert and to make a statement, demanding justice for Scott. “The people who should be held accountable are still not being held accountable in your city. The silence is f**king deafening,” said lead singer Thom Yorke. As for Ken and Sue Johnson, they continue to push for Scott’s case to be resurrected. In the meantime, they don’t travel far from their home. When the couple does go out together it is usually to the local cemetery – a time to catch up with Scott. A chance to feel like a family again. 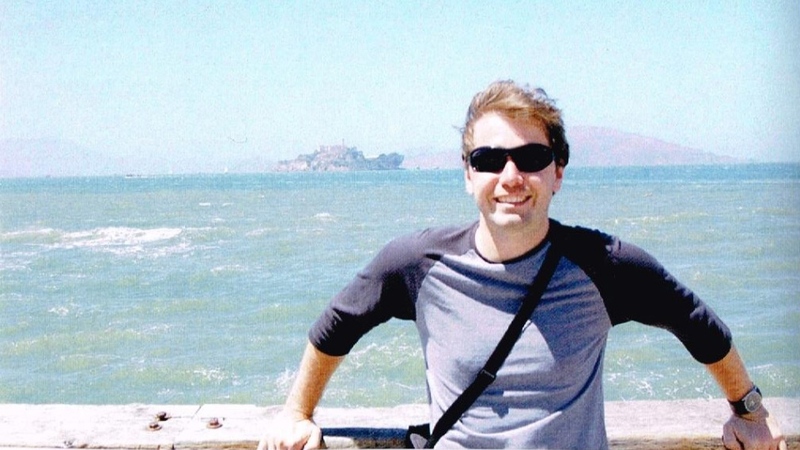 The coroner’s inquest into the death of Scott Johnson is expected to start at the end of March. 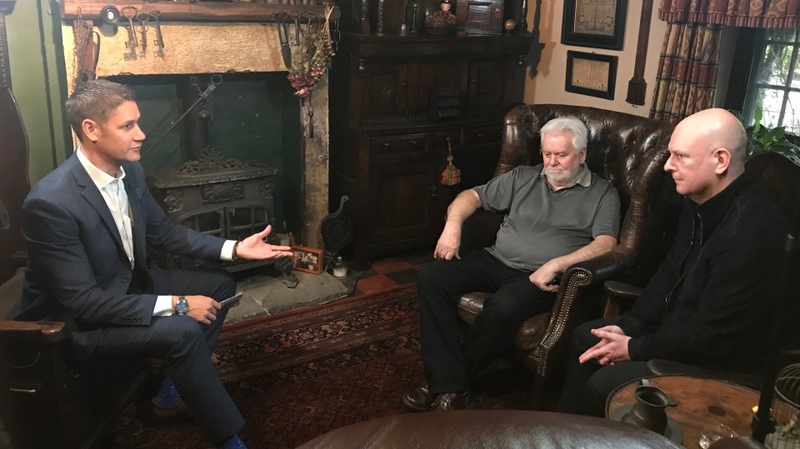 Peter Akman (left) interviews Scott Johnson's father, Ken (middle) and Radiohead drummer Philip Selway in Doncaster, England. 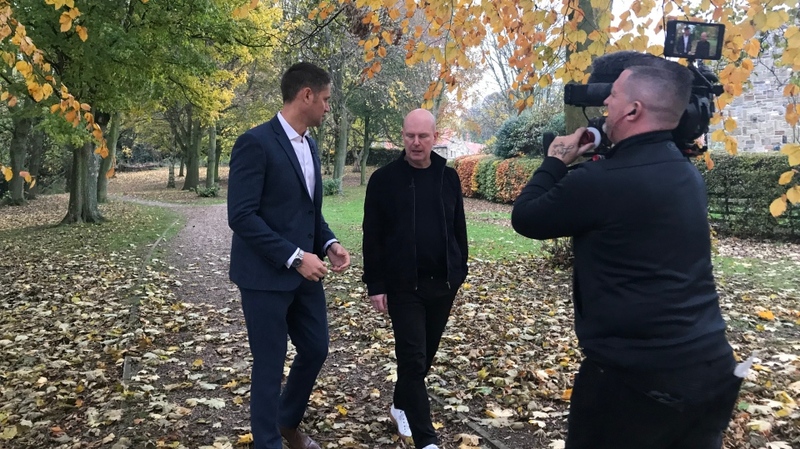 Peter Akman with Radiohead drummer Philip Selway in Doncaster, England.